There are many benefits to carpet in a home, one of them being the potential in energy savings when heating your home. Carpeting can insulate a home up to 10 times more than hardwood flooring. R-value is a term used to describe the thermal resistance rating of carpet, or in plain and simple terms the insulating value. 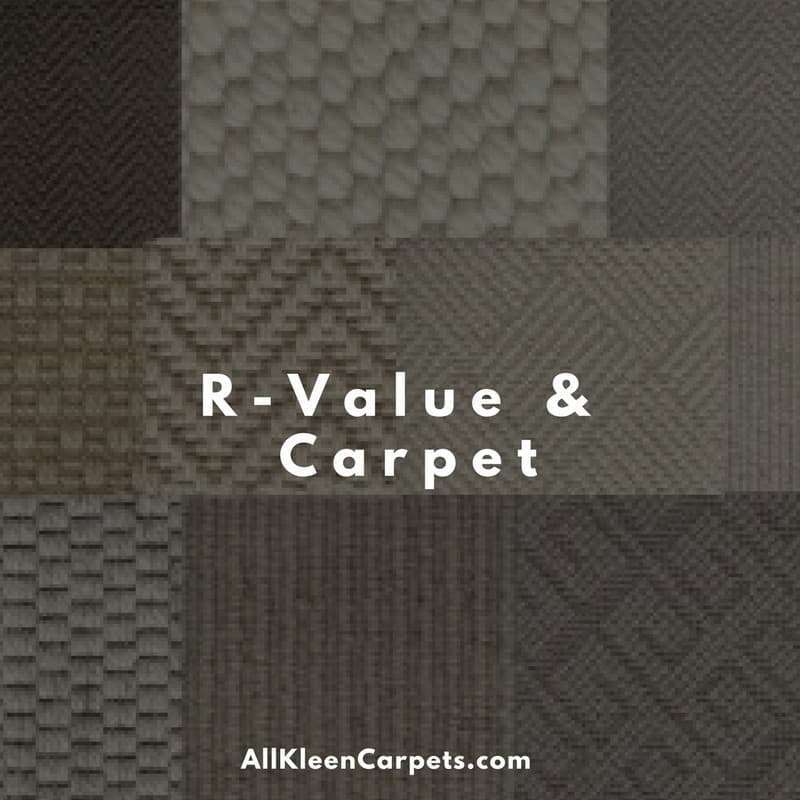 R-value is calculated not from the actual materials as much as from the thickness of the carpet. Most of the time the R-value is printed on the label of the product in the store. If the R-value for your carpet is not labeled or readily available it can be easily calculated by multiplying the carpet’s thickness in inches but 2.6. the higher the R-value, the more insulating power it provides to the home. The carpet padding also effects room temperature and some may say that the padding under the carpet does just as much or more insulating than the actual carpet itself. Urethane padding has the highest R-value of all padding choices. The R-value rating is anywhere from 1.05 to 2.15 dependent upon the thickness of the pad. Urethane padding is low in density making it a lightweight padding choice and because it is not a dense product it is not ideal for high traffic areas. It is a great option for bedrooms, but you might want to keep it out of the hallway or family room. Rubber padding has the lowest R-value of carpet padding. It rates between .31 and 1.61. Rubber padding is pretty dense and is still a great option for those high traffic areas like the hallway. Rubber paddings are best when they don’t contain fillers. Fiber padding has an R-value in the middle measuring in at .97 to 1.94, not too much higher than rubber padding. Fiber padding is constructed of hair or plant fibers and is also high density making it another option for a high traffic area. Being in the middle with its R-value, fiber padding, provides a pretty good warming and cooling property along with decent carpet support. When you add both the R-value of the carpet and the pad together you will get the complete R-value and insulation value added to your home. Some carpet and padding combinations can measure an R-value of over 2.0. The combination of carpet and padding together form to create a strong barrier against heat and cool air loss depending upon the season. If you are looking to save money on heating and even cooling bills in your home check out the R-value of carpet and padding options that will work for your home and lifestyle. For more great carpet information and carpet care tips please feel free to browse our website. Make an appointment online for the best professional carpet care.